Find phlebotomy training classes in Alabama below! Taking blood samples is a small part of being a phlebotomist, and this program offers two 180 to 270 hours of extensive training, broken into 6 to 7 modules for learning ease. These segmented classes will help prospective phlebotomists develop the know-how required to draw blood, interact with patients, and remain calm in serious medical situations. During these classes, phlebotomy students will learn how to diagnose problems with high-tech medical machines that detect abnormalities in hemoglobin specimens. Students will also learn extensive medical jargon, as well as how to communicate with and soothe irritated, upset, or uncooperative patients. While known as a position where drawing blood is a center focus, students must comprehend the complexities of veins, pressure points, and human anatomy overall. To gain a solid grasp of phlebotomy in its entirety, students are encouraged to sign up for an Anatomy and Physiology class in addition to this program. Becoming a certified phlebotomist requires 240 hours of classroom education and hands-on experience. This career avenue could be a stepping stone for those looking to study nursing and similar medicinal, doctoral, or patient care situations. Through a fifteen-week course with expert instruction, and supervised clinical experiences, students will learn about basic care, nutrition, and interpersonal communication with patients, as well as how to adhere to safety standards, infection and disease control, medical jargon, and anatomy. This course requires phlebotomists-to-be to have a high school diploma or GED, and be at least 18 years of age. Students will also learn the expectations of phlebotomists, such as possible work schedules, what to do in uncomfortable or crisis situations, and how to handle upset, unruly, or intoxicated patients. Drawing blood and puncturing veins are a small part of being a good phlebotomist. Phlebotomy demands physical activity, and students must be prepared for long periods of kneeling, hunching, stooping, walking, standing, and lifting or pushing objects. As the medical industry flourishes, phlebotomists are expected to experience a growth in their career field. Their attitudes, demeanors, and ways of handling things, especially toward patients, could make an experience better for both themselves and the patient. Location: 1001 George Wallace Dr.
Phlebotomists boast a genuine interest in helping their patients – a trait that comes naturally, and helps with this line of work. This coursed is handcrafted to aid those compassionate, caring, ambitious people in their phlebotomy ambitions. Being energetic in your studies is important, as this 6-week course is fast-paced and jam-packed with need-to-know information. Brushing the surface of this program, you will learn how to draw blood samples with minimal to no pain to the patient, how to interact with patients who are scared, irritable, nervous, anxious, or uncooperative, and how to find veins without digging, prodding, or causing unnecessary pain. 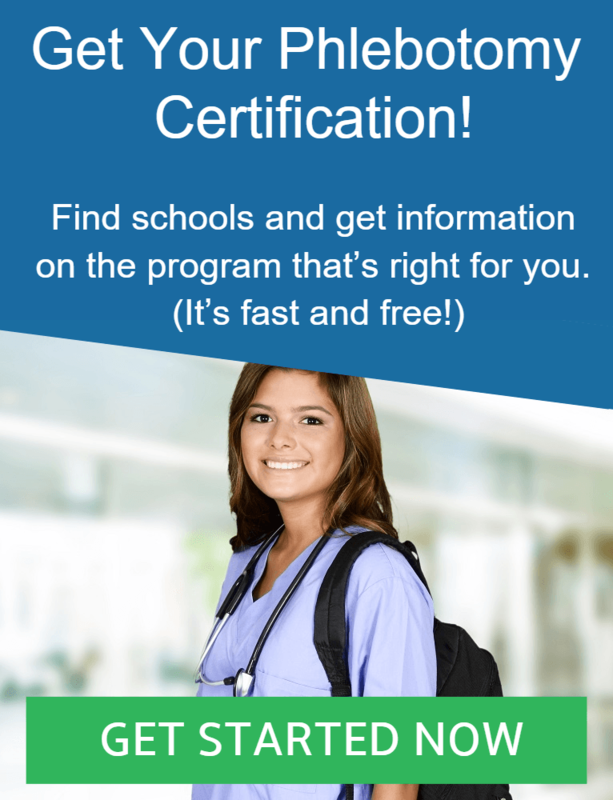 In the state of Alabama, once you have finished this 6-week training program, you will be able to obtain a position in a minor medical field. You will also be eligible to participate in the Phlebotomy Certification Exam to become certified nationally by the American Society of Phlebotomy Technicians. Inclusive of both clinical and classroom training, this phlebotomist training program features a 3-week course on the basic functions of being a phlebotomist. The program is fast-paced, encouraging students to grasp career knowledge before taking the national certification exam upon completion. New classes form every 3 weeks, giving students multiple opportunities to book themselves into a new field of medical study. Aside from drawing blood, students will learn how to effectively, compassionately communicate and interact with their patients. They will also go through extensive safety and infection control procedures, as well as learn about collecting and transporting patient bodily fluids. Before students leave the course altogether, and after the 3-week program is completed, they will be enrolled automatically in the exam for phlebotomy certification. Students will then find out, on the spot, whether they were successful in passing the exam and earning their credentials to work in this medical career. Description: No description available for this course. Please visit the schools website via the link below for more course information. Location: 809 University Blvd. E.
This 10-week program prepares students to become capable, reliable phlebotomists with a chance for necessary exam certifications after the course ends. Unfortunately, at this time, this phlebotomy program does not accept transfer students. This program’s mission is teaching students how to be good phlebotomists, which means being compassionate, caring, and understanding towards patients who might be nervous, scared, annoyed, or uncooperative. Students will acquire the skills necessary to draw blood painlessly and effectively, collect and secure specimens, interact with both easygoing and difficult patients, and follow safety procedures. Considered a full-time course, this phlebotomy training program provides both hands-on clinical experience and classroom learning.